TomatoFest is one of America's first family-operated seed distributors to feature only Certified Organic, open-pollinated tomato seeds. 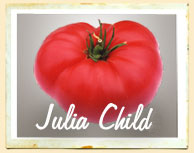 Since 1990, we have personally grown, and harvested all of our heirloom tomato seeds, by hand, to ensure you the finest quality, true-to-type, tomato seeds. No hybrids. No GMOs. "Every Seed A Possibility." We GUARANTEE our seeds! ~ Gary Ibsen, Dagma Lacey. 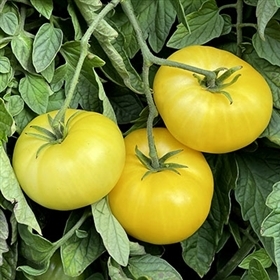 Choose from our 24 Rare Varieties of Prized Dwarf Tomato Seeds. 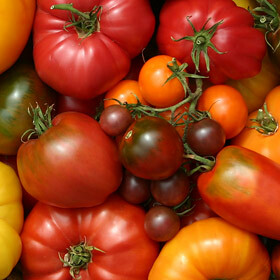 Organic heirloom tomato collections suited for your growing environment. Great Savings for 2019! Bold flavored beefsteak tomatoes still reign. In Tribute to American icon, celebrity chef, author, and TV personality. What Is An Heirloom Tomato? And Why Are They BETTER? 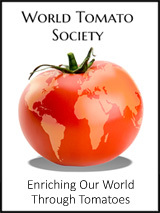 TomatoFest is your ultimate destination for finding the best tasting, old-fashioned and rare heirloom tomato varieties originating from many different regions and family farms, around the world. Our mission is to sustain these precious heirloom tomatoes, and their family and plant histories, so they may remain a vital and available food source for generations to come. 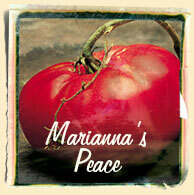 We treat these heirloom tomato seeds as our precious legacy. 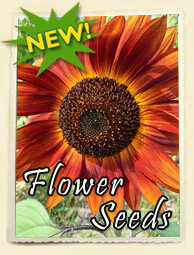 All packs contain 25 - 30 seeds unless otherwise noted. Through our Tomato Seed Donation Program we support community and urban garden projects, school gardens, and organizations that promote education and sustainable living through organic gardening. We have assembled probably the best Tomato Seed Collections you will find anywhere to help get you started with some winning varieties. 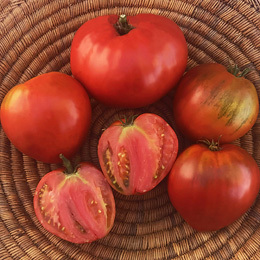 We offer tomatoes in many color groups: Purple/Black tomatoes; Yellow/Orange tomatoes; Pink tomatoes; Red tomatoes; Bi-colored tomatoes; and Other-Colored tomatoes (green tomatoes, white tomatoes, even blue tomatoes). Be adventurous in your selection to choose colors and varieties that are unfamiliar to you. You will enjoy immense pleasures in the exploration. We probably have the largest selection of purple/ black heirloom tomatoes. Don't miss the opportunity to mix these in your garden with your other colors. Black Tomatoes are among our top favorites because of their generally exceptional rich, complex tomato flavors. 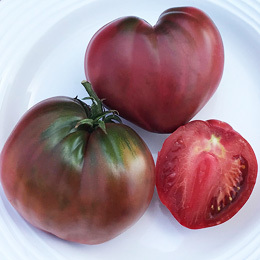 Our excellent selection of black tomato seeds are some of the most popular varieties, such as Black Krim, Paul Robeson, Black Cherry, Black Ethiopian, Black from Tula, Black Prince, Black, Cherokee Chocolate, Japanese Black Trifele, Nyagous, Black Plum just to name a few. And don't be afraid to try the popular	green tomato varieties such as, Aunt Ruby's German Green, Green Grape, Evergreen, Cherokee Green and our favorite, Green Giant. All these green heirloom tomatoes are ripe when soft to the touch, and SWEET! Or try our favorite white heirloom tomatoes for delicate sweet flavors like, Halfmoon China, Great White, Potato Leaf White, Sutton, White Beauty, White Rabbit and White Queen. "We're Feeding the World With Heirloom Tomatoes"